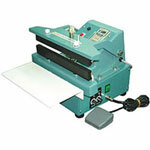 The Seal and Cut Impulse Foot Sealer seals and cuts in one operation enhancing seals and eliminating waste. 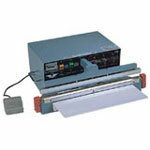 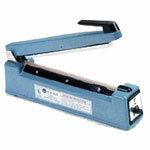 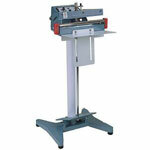 This impulse foot sealer is the first model designed to cut and seal in one operation. 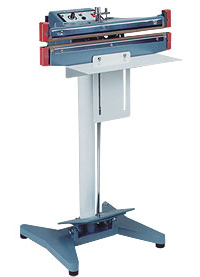 With the help of both a round wire for cutting and a flat 2 mm wire for sealing, this sealer gives the operator a secured seal while eliminating the excess material above the seal.